Mytos’ web-based, user-friendly services allow companies to maintain full overview and control over their employees’ mobile expenses. The service includes several functions providing an efficient, user-friendly overview of all aspects relating to the company’s mobile expenses. See all out web-based services below. Is everyone at your company aware of the guidelines applicable to mobile usage? Are you allowed to use your mobile for private purposes, when travelling or on holiday? What is covered, and what is not covered? Can you choose your own subscription and provider? 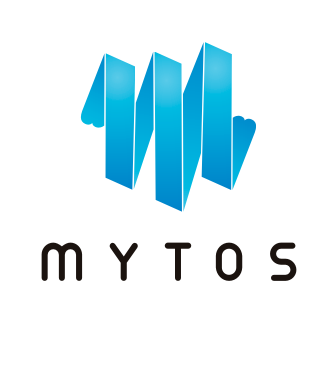 Mytos Mobile Usage Policy provides managers and staff with clear guidelines of mobile phone usage. Are you struggling to understand the invoices from your mobile operator? Mytos Telecom Expense Management simplifies complex things for employers and employees alike, providing an overview of all of the company’s subscriptions, devices and supplementary services, providing quick and easy control over your company’s overall mobile expenses. The Mytos solution includes automatic generation of mobile tax and VAT reporting for employees. This saves time and ensures compliance with all regulations. Do you spend a disproportional amount of time distributing mobile expenses to the right departments? Mobile Expense Allocation from Mytos automatically distributes employees’ mobile expenses to the right cost centre so that you can spend your time doing more important things. Do you have complete control over all your company’s mobile phones and tablets? Does the company cover the costs for new mobile phones for all employees? Which mobile phone did your employees use last? Maintaining a full overview of all devices purchased by the company can be a challenge. Mobile Terminal Overview from Mytos makes it easy! There are lots of rules and reports to adhere to, and lots of subscriptions, users and phones to be administered and reported on. We offer advice where we analyse your company’s historical invoice data and give recommendations on how to reduce expenses further while still improving efficiency. The analysis also includes advice on which supplementary services would be of benefit, given actual usage. We cooperate with Telenor to offer Invoice Control, which automatically separates work-related mobile expenses from private expenses. We are proud to work with Telenor to help make life easier for many companies and their staff. Do you have any questions about or services?